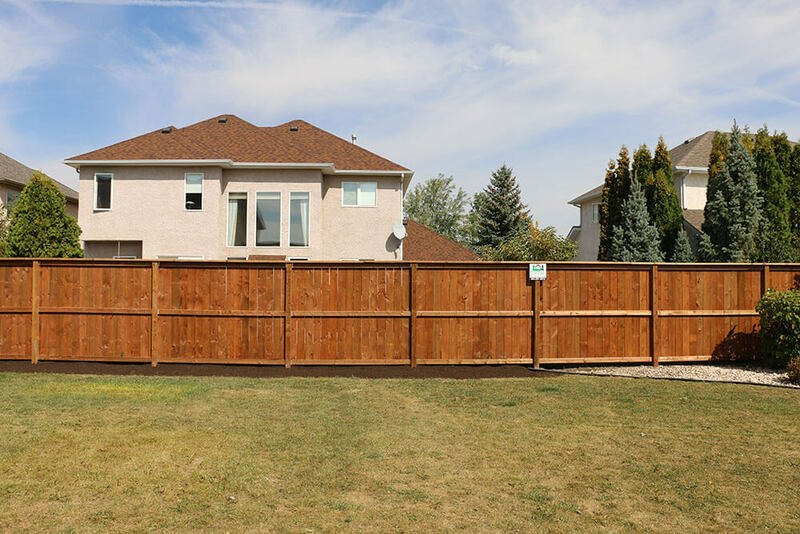 It’s hard to beat the timeless appeal of wood fencing in Winnipeg. Whether you’re enclosing a backyard with added privacy or defining a front yard with a charming picket fence, wood fences offer wonderful aesthetic appeal. At Total Yard Works, we offer an expansive selection of high-quality wood fences in a variety of designs. 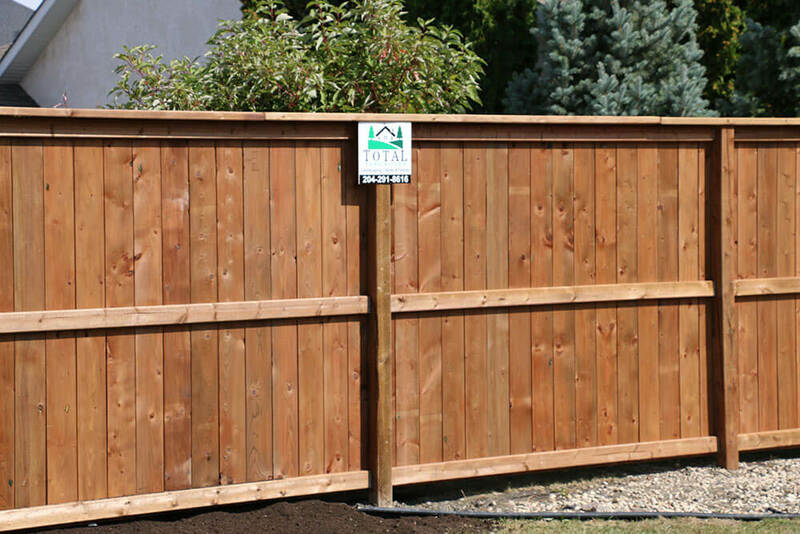 From simple styles to custom options, we can help you create a fence that fits your preferences and budget. We have a large catalog of fencing options that includes many styles of attractive vinyl fencing, including wood-grain patterns that mimic the look of the real thing. A maintenance-free fencing choice, vinyl PVC fencing never needs painting, staining or sanding of any kind. It keeps looking good year after year, giving you a durable, reliable property barrier that’s equally attractive and resilient. Why not complete your home with one of the most popular, attractive fencing products on the market? Secure, safe and maintenance free. Protect your pets or children, enclose the boundaries of your yard, and complete your property with this low-cost fencing option that boosts both security and safety at your site. When you’re looking for a durable, economical, new fence for your home, chain link material offers a long-lasting, maintenance-free option at an affordable price. Enjoy the elegant look of wrought iron at a fraction of the cost — choose aluminum fencing in Chicago. The beauty of aluminum is that it makes an excellent, economical fencing alternative to wrought iron, one that can provide maintenance-free security for years to come. Plus, at First Fence Company, we offer a variety of styles for you to choose from for your aluminum fence in Chicago, so there are lots of ways to customize the style to your preferences. Whenever you’re after unparalleled elegance for your home or business, it’s hard to beat the beauty and appeal of an ornamental steel fence. Whether you’re enclosing a large estate, a commercial park, an apartment complex or another site, when you do it with ornamental fences in Chicago, you know it will look beautiful and professional. Available in a wide variety of designs, these upscale fences feature maintenance-free coatings, durable construction and the added strength that comes from welded steel. First Fence Company is proud to be the leading ornamental fence company in Chicago — your resource for steel fences that will last for years to come. There’s nothing like the look of wrought iron to dress up a property. That’s why, when you want to boost your home’s elegance and charm, a wrought iron fence is a great way to go. At First Fence Company, we have decades of experience creating durable, eye-catching wrought iron fences for our clients. When you come to us for an iron fence in Chicagoland, you know you’re getting the best in the industry.